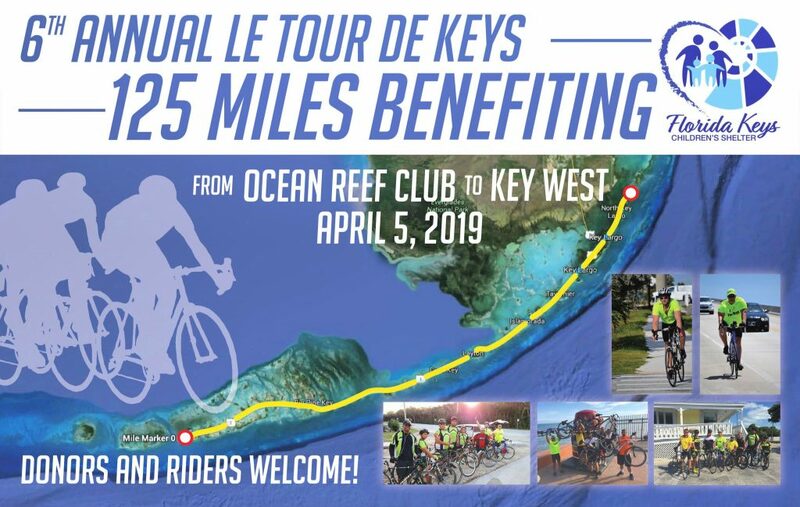 FLORIDA KEYS –On Friday, April 5, 2019, cyclists will “ride for the kids” the entire 125 miles from North Key Largo to Mile Marker Zero in Key West. 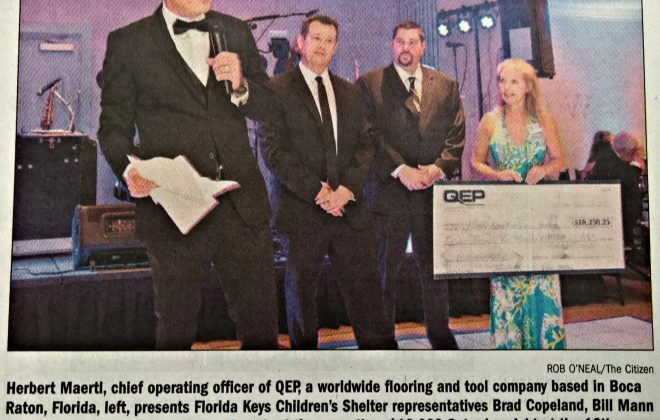 The sixth annual event honors the work of the Florida Keys Children’s Shelter, which serves over 500 youth per year across the entire 125 miles of the Florida Keys. 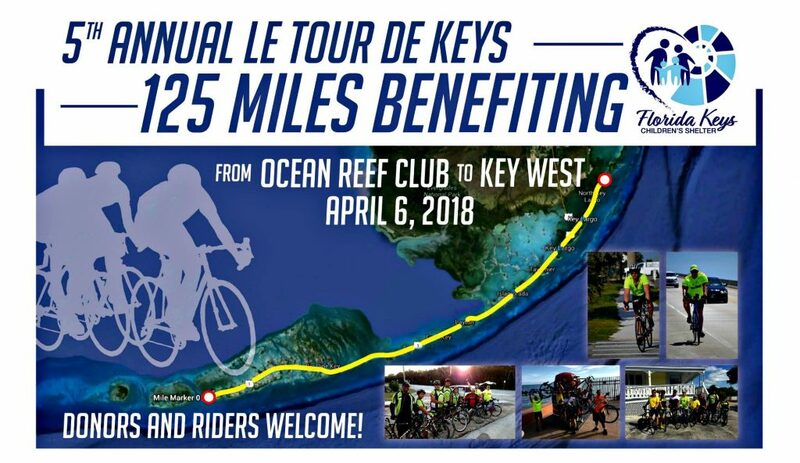 The event is limited to experienced cyclists who are fit to ride from Ocean Reef to Key West in one day. There is no cost to participate but riders are encouraged to raise awareness and/or funds for the Children’s Shelter. 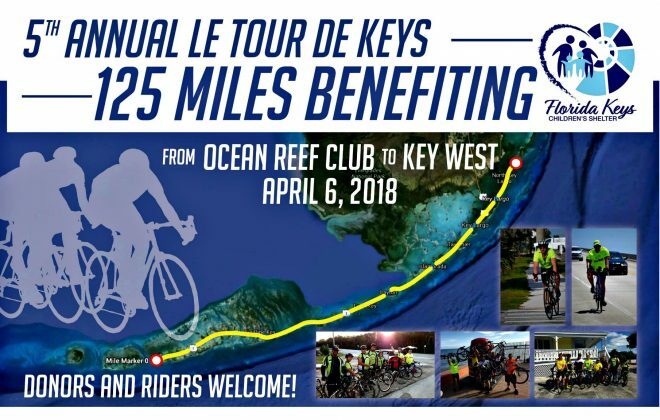 To become a participant or make a charitable contribution to the Children’s Shelter, visit TourdeKeys.com. To inquire about sponsorship opportunities, contact Jennifer McComb at 305-852-4246 x222 or jmccomb@fkcs.org. 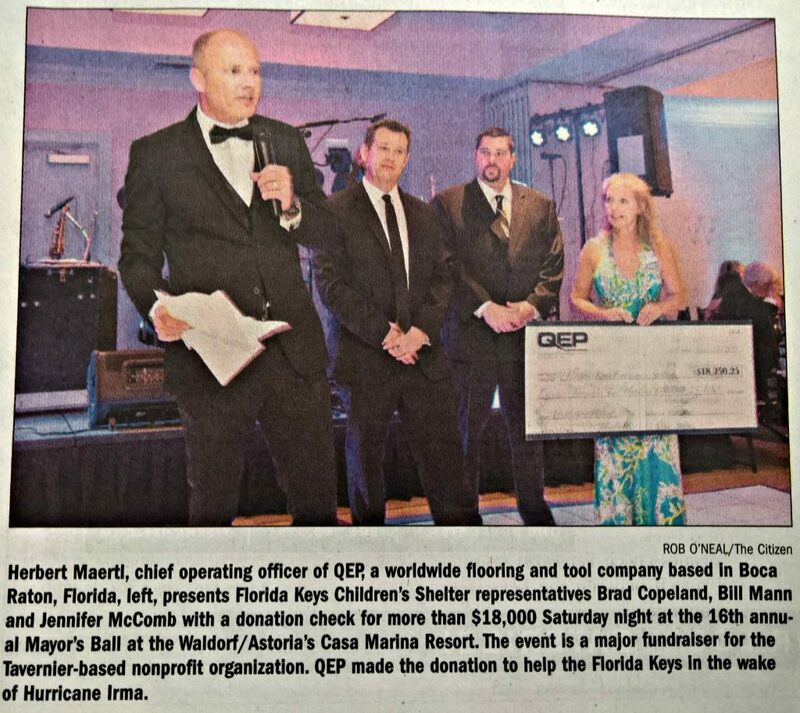 “Safe Kids, Strong Families, and a Healthy Community” drives every facet of Florida Keys Children’s Shelter programming. Serving Monroe County for 30 years, the nonprofit organization touched more than 500 lives last year through its no-cost programs; emergency shelter, group homes, community-based counseling, respite services and drop-in center for homeless and run-away youth. For more information on services or learn how to get involved, please visit www.FKCS.org or call (305) 852-4246 .